Updated with a sleek and inviting gray and aqua eat-in kitchen, the unit opens into a grand living room with vaulted ceilings and tall windows. In the sunroom as in the master bedroom sliding doors reveal the beautiful wooded and very private area behind the unit that calls for relaxation. This modern 2/2 condo is one of only few two-story units in the community. Brand new gray carpet installed in the master bedroom/staircase and tile throughout the rest of the home. Water heater is one year old and AC is a few years old. Laundry in the unit, and attached storage for your bicycle is in the back. Enjoy an immaculately maintained, renowned community, nestled in a flowering, wooded area. 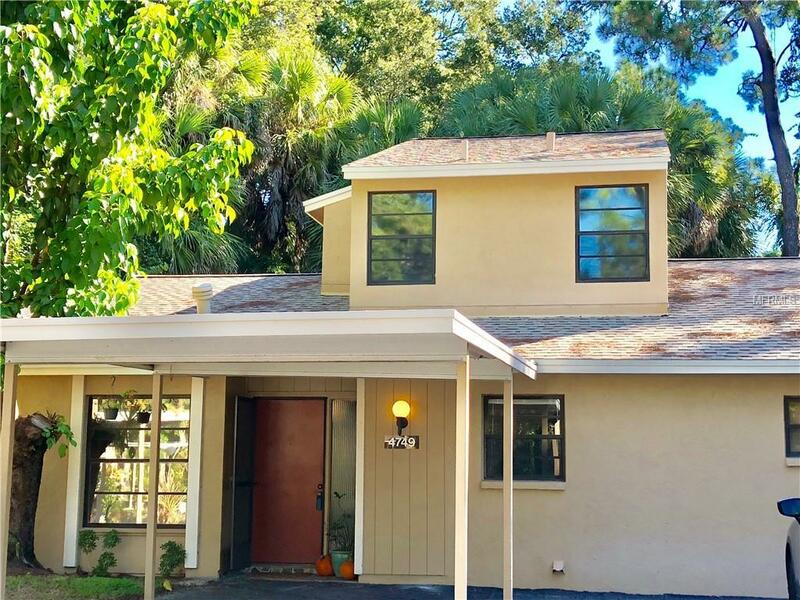 Conveniently located between downtown Sarasota and the Sarasota airport, minutes away from the John and Mabel Ringling Museum, The Historic Asolo Theater, the Sarasota Ballet, The Ringling College of Art and Design, New College and University of South Florida. Located a short drive from the St Armands Circle and Lido beach, and a short drive to UTC shopping Mall, and minutes from restaurants off University Parkway. Village Gardens offers lots of activities such as tennis/pickle ball, game nights, and happy hours and of course a lovely pool and common area. Seller is willing to pay for some of the buyer's closing costs. Additional Lease Restrictions No More Than 4 People Can Occupy The Unit At Any Given Time. Guests Can Only Stay There For 30 Days (Including Family Members) Or They Must Be Apply As Renters With The Association With A Full Credit And Background Check Which Must Be Spotless. Amenities Additional Fees No Pickup Trucks Motorcycles No Exceptions. Pet Restrictions Very Strict Application Requirements And Will Not Be Flexible On Any Of Them. No Cats Or Dogs That Are Over 30Lbs (At Mature Age) No Exceptions.